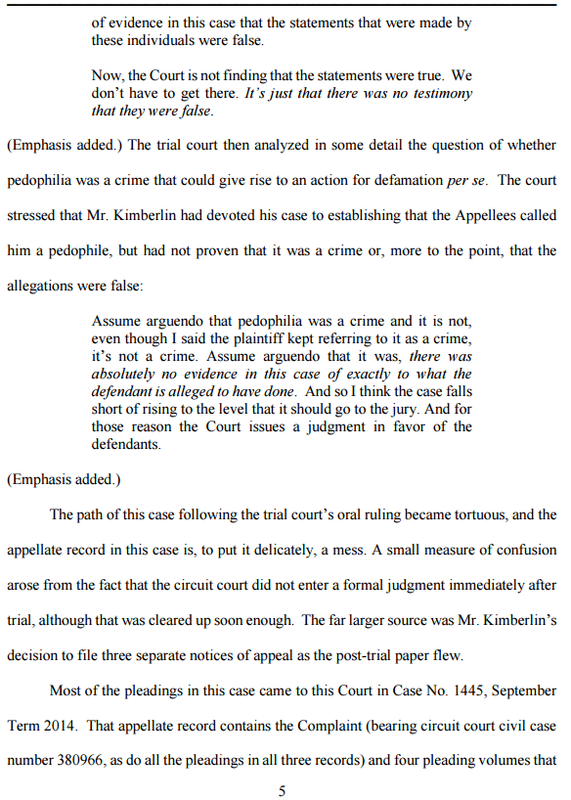 In case you missed it, this is the court decision on the most recent appeal by Brett Kimberlin in his lawsuit against the world. 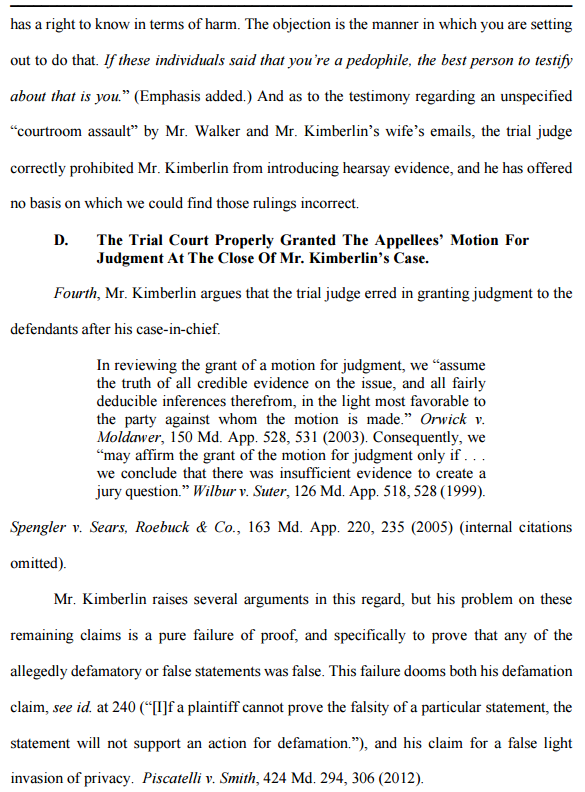 Originally, Kimberlin sued a bunch of bloggers alleging he was the target of "malicious prosecution, conspiracy to abuse process, defamation, false light invasion of privacy, harassment, infliction of emotional distress and stalking." 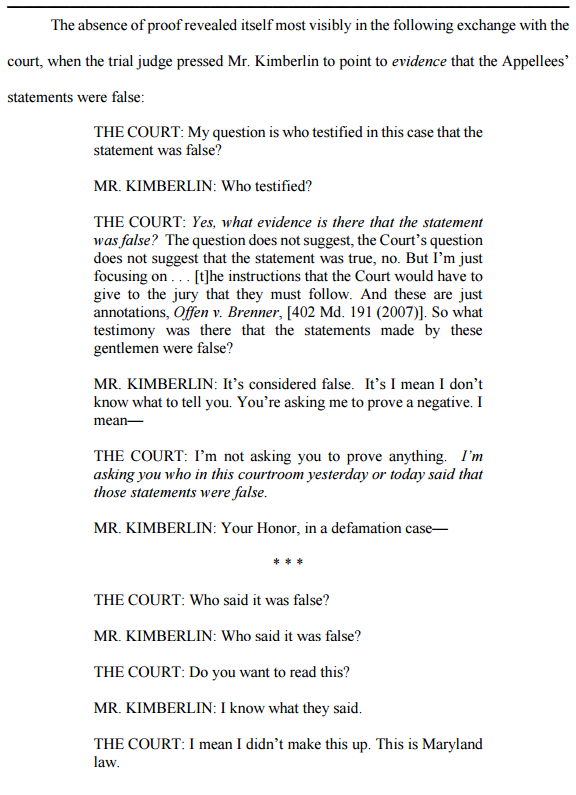 Only two of Kimberlin's allegations proved to be trial worthy but in the end, Kimberlin still lost his lawsuit. 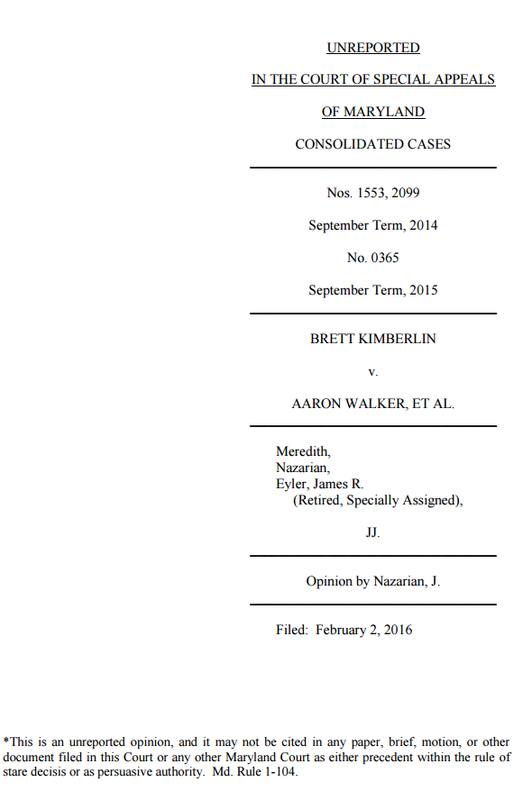 Brett, being the poster child for Excessive Litigation, appealed. 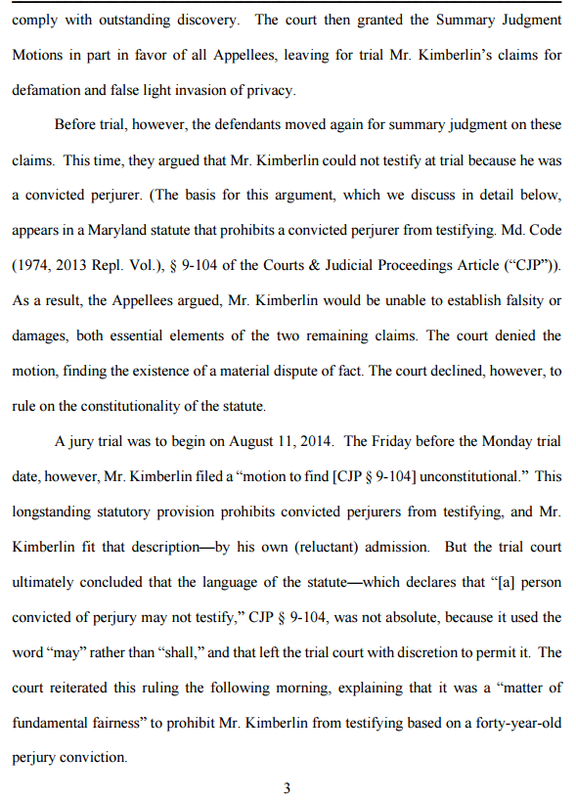 Last month, the Maryland Court of Special Appeals published their decision upholding the verdict against Kimberlin. 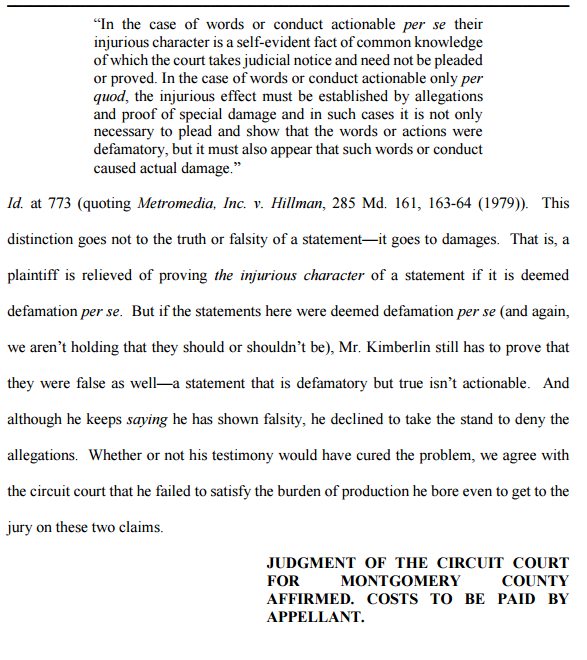 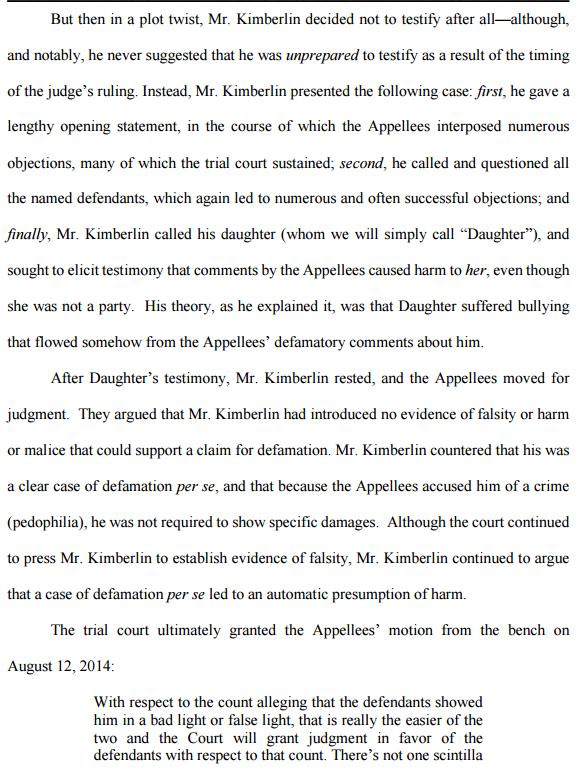 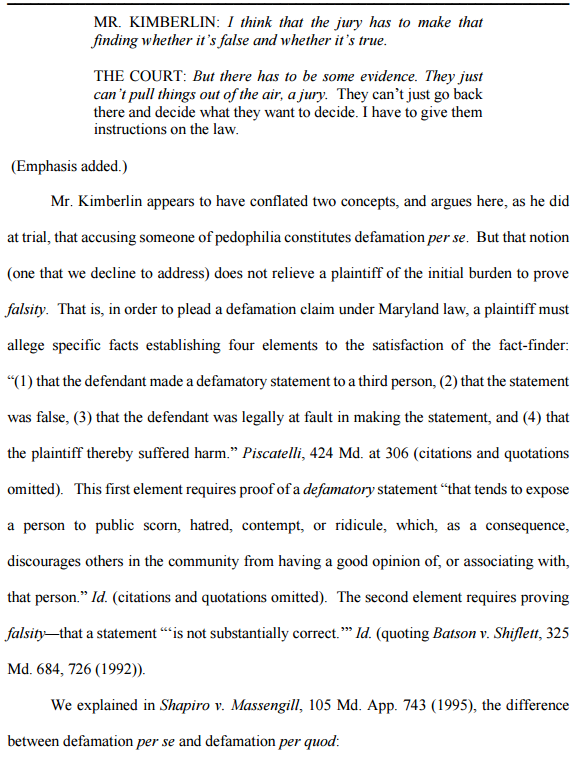 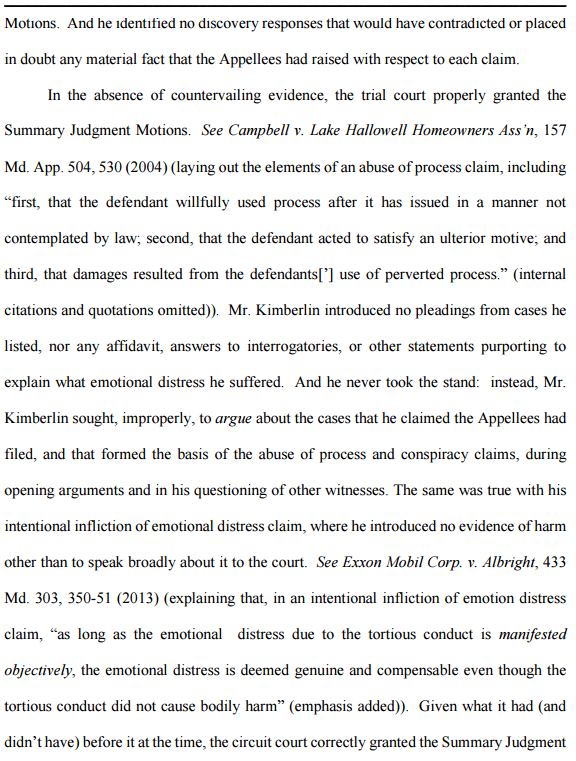 The Special Appeals court stated that "a statement that is defamatory but true isn't actionable" and found that Kimberlin failed to prove that any defamatory statements were false and didn't take the stand to testify the defamatory statements were untrue. 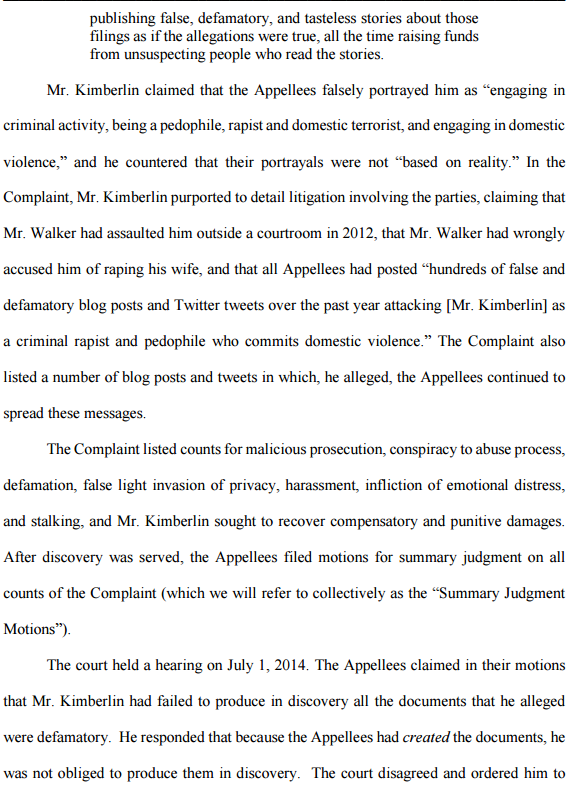 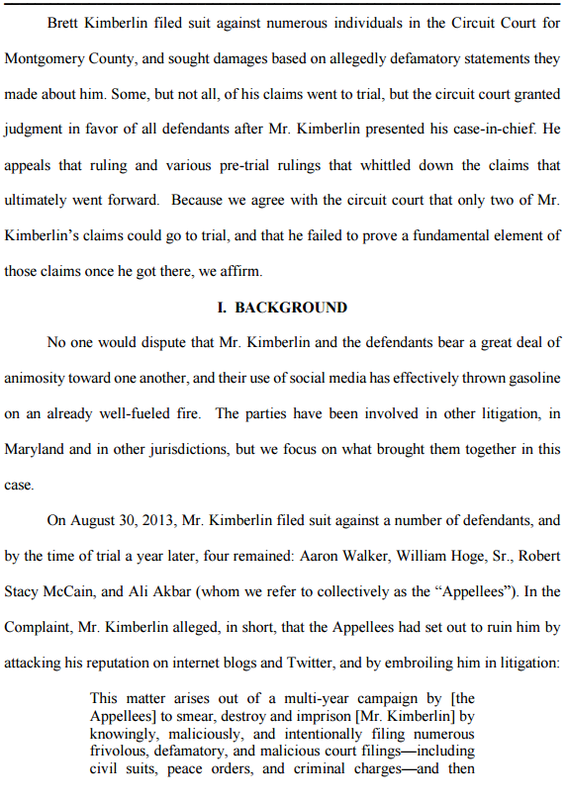 Below is the "unreported opinion" by The Maryland Court of Special Appeals that was published in February. 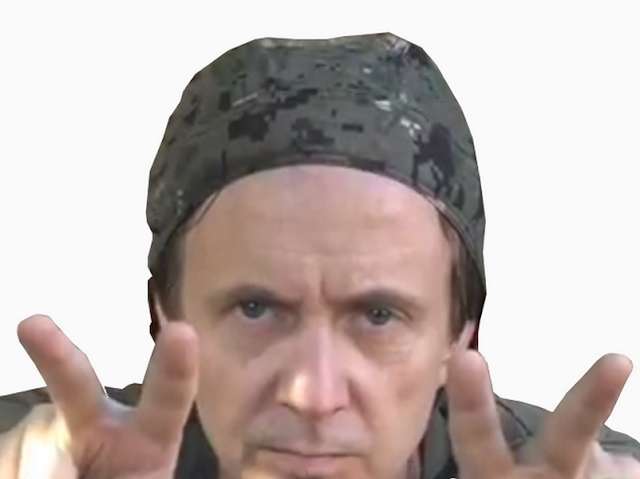 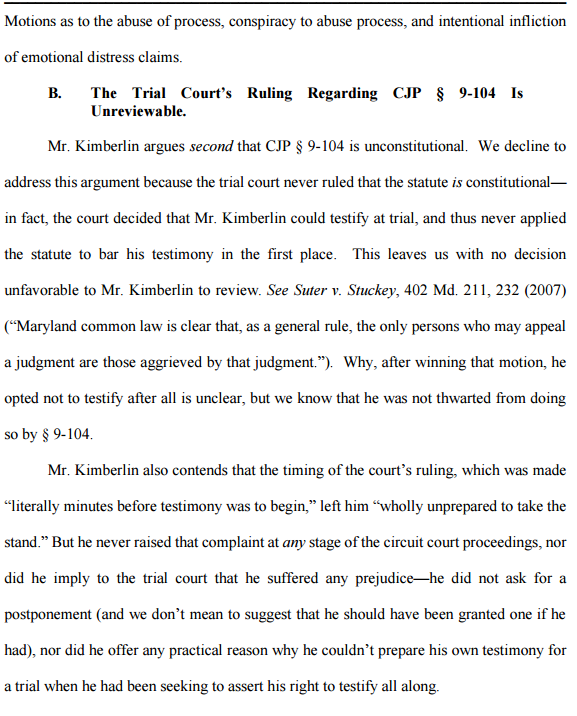 If you're wondering what an unreported opinion is, according to their website, 'Most decisions of the Court of Special Appeals are not reported, as Maryland Rule 8-605.1 requires the Court to report only those opinions that are of substantial interest." 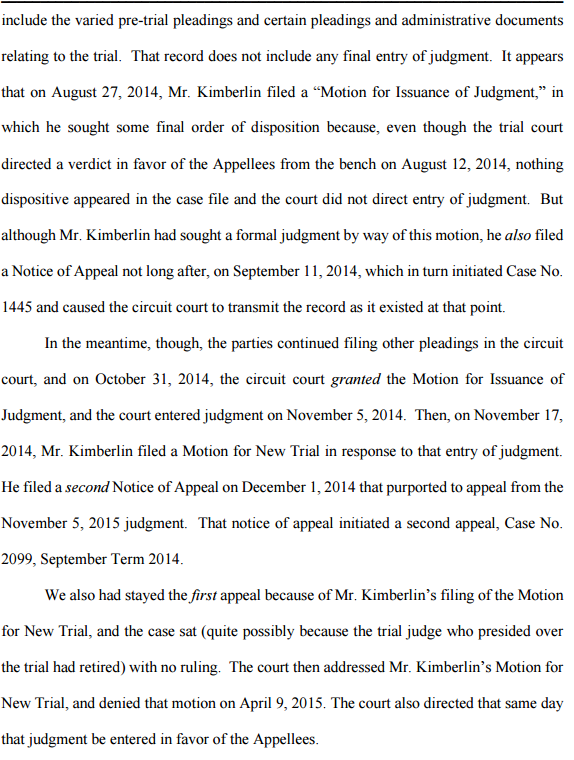 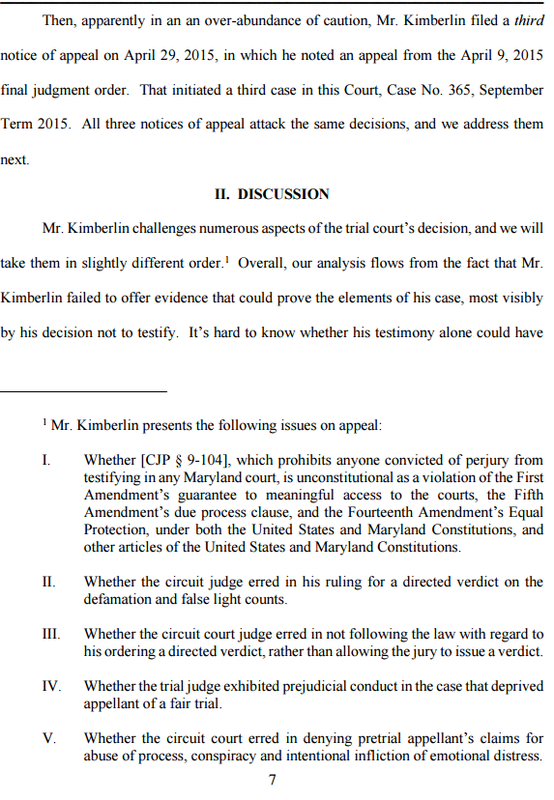 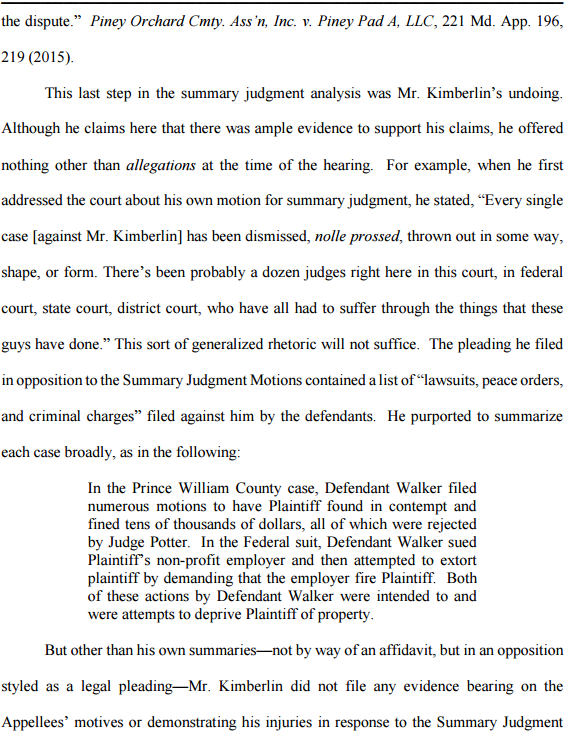 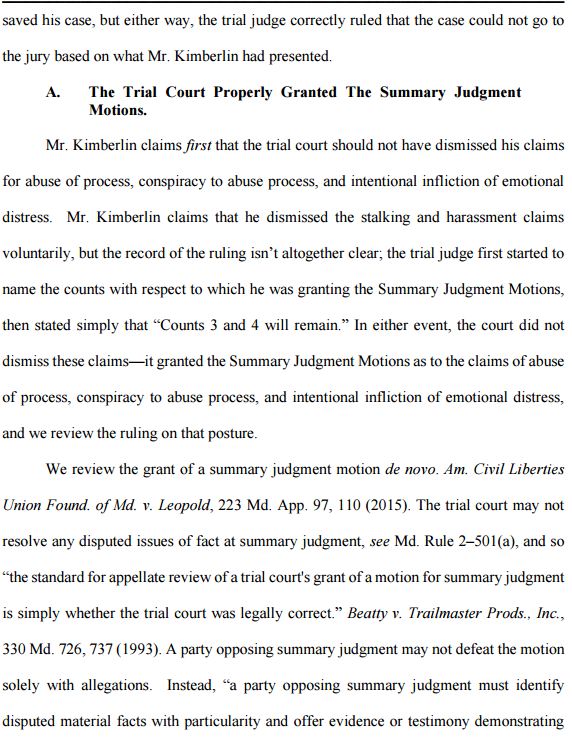 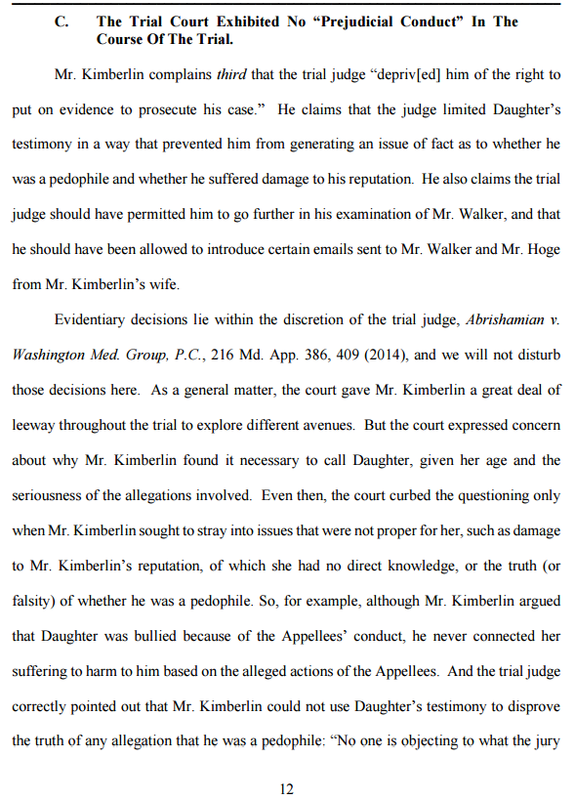 Imagine that...the court of Maryland doesn't think Kimberlin's lawsuit is of substantial interest.